A new set of coasters is always a handy gift. And they’re even better when they show pictures with a special meaning for you. 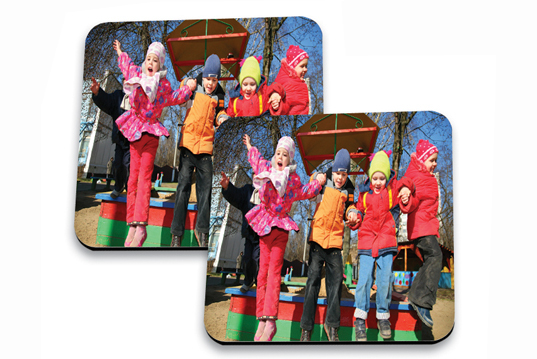 You can create coasters using a favourite picture of friends and family, or perhaps a snapshot from a recent holiday. Please choose one picture for each set of coasters.